Part 3: software and mobile announcements. As posted yesterday, Oculus announced a VR app for Facebook (although it seems to be an extension of Facebook rather than actually replacing it). It was the first demo during the keynote and demonstrated by Mark Zuckerberg himself. 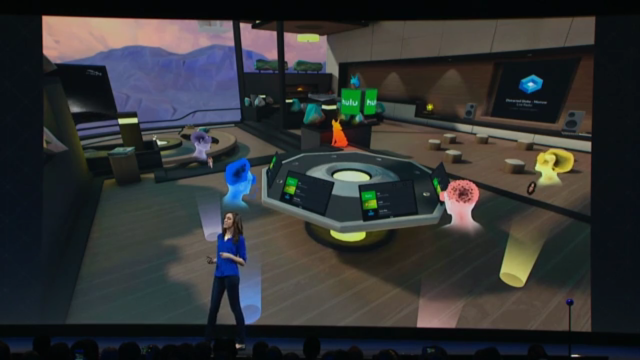 It is similar to the demo shown at the F8 Facebook Developer Conference, where people could interact with avatars of their friends in a virtual space. However, in this new demo, the avatars were much more advanced. The new avatars look like more polished cartoon characters, with facial expressions, lipsyncing, bodies, arms, and hands, as shown in the screenshot above. I am supposing that this could require additional hardware to be able to track facial expressions. But the headset that Mark Zuckerberg used did not seem noticeably different from the Rift CV1. The demo also showed other additional capabilities. 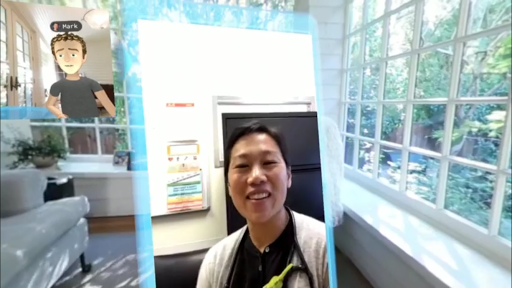 Whereas the demo at F8 showed that you could share 360 photos, in this new demo, you could also be surrounded with a 360 video. They showed several games that you could play in VR such as cards and chess. Zuckerberg also showed how the new app is tightly integrated with Facebook Messenger. 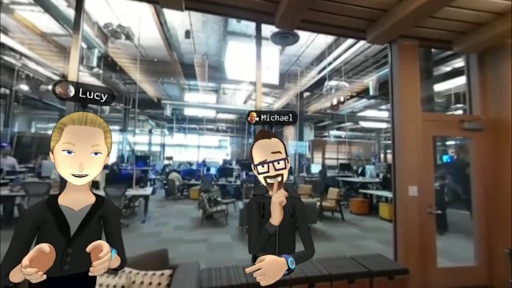 People in Messenger will be able to see a 2D view of the VR interaction, and be able to interact with the VR avatars and even take virtual selfies, even though they themselves are not using a VR headset. Zuckerberg said this app was still ‘in development,’ and he did not announce when it would be released. UPDATE: here’s a video of the demo. To give users social presence in VR, Oculus is introducing Oculus Avatars, which are high quality avatars. 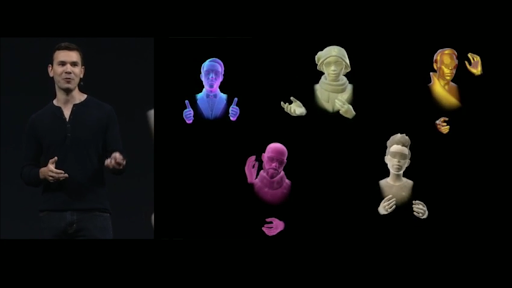 Oculus believes that the avatars are of such high quality that you’ll be able to recognize your friends. 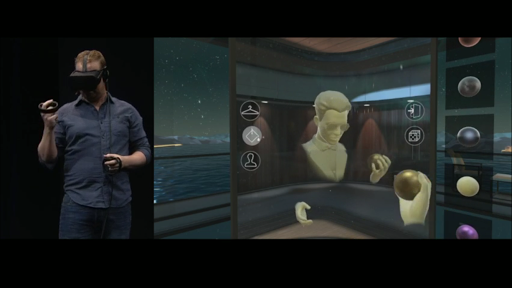 Notably, Oculus Avatars look different from the avatars used for the Facebook demo. These avatars are monochromatic but seem to be more realistically modeled. But a key difference is that they don’t have facial expressions. Oculus Avatars will be launched on Rift when Touch is launched. Coming to mobile in 2017. 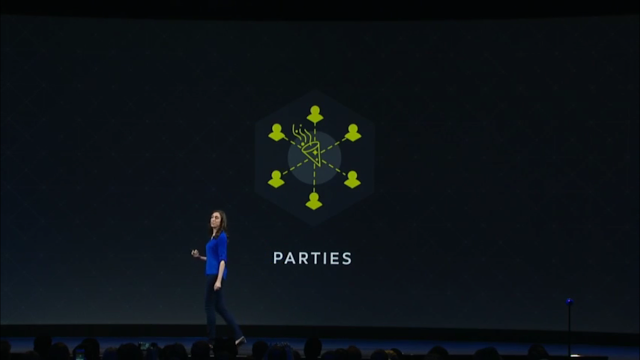 Oculus Parties is a way to talk with up to 7 other people while you are in a VR app. For example, you could be engaged in a multiplayer game and talk with each other to strategize. You’ll be able to connect to your family and friends as if they are present with you, no matter where they are at the moment. Oculus Rooms allows you to share a virtual space with other people, similar to Altspace or Vtime. It will be released on Gear VR “in a few weeks.” Available for Rift next year. Not sure if that’s a mistake (it might be the other way around).